The term ‘POPS’ or ‘us’ or ‘we’ refers to the owner of the website whose registered office is 1079 Rochdale Road, Blackley, Manchester, M9 8AJ. The term ‘you’ refers to the user or viewer of our website. 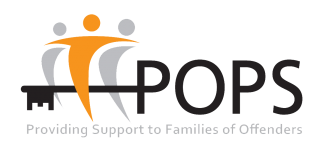 POPS is a registered charity (Registered Charity Number 1048152) and a registered company limited by guarantee (Company Registration Number 3067385, VAT Number 883303130). POPS’ Social Enterprise “2ndChance” and “2ndChance” logo are trademarks. All other trademarks and logos used in this website are the trademarks or logos of their respective owners. You agree to use this site only for lawful purposes, and in a manner that does not infringe the rights of, or restrict or inhibit the use and enjoyment of, this site by any third party. Unauthorised use of this website may give rise to a claim for damages and/or be a criminal offence. POPS reserves the right to revise these terms and conditions at any time without notice. Your continued use of this site after a change(s) has been made constitutes your acceptance of the change(s). Neither we nor any third parties provide any warranty or guarantee as to the accuracy, timeliness, performance, completeness or suitability of the information and materials found or offered on this website for any particular purpose. You acknowledge that such information and materials may contain inaccuracies, errors or ommissions and we expressly exclude liability for any such inaccuracies, errors or ommissions to the fullest extent permitted by law. This website contains material which is owned by or licensed to us. This material includes, but is not limited to, the design, layout, look, appearance and graphics. Commercial use or publication of any content displayed on this site is prohibited without permission from POPS. 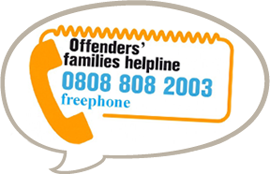 You may view, print, download or store extracts from www.partnersofprisoners.co.uk for your personal, non-commercial use on the condition that copyright and source indications are also copied, no alteration or additions are made and that the material is copied in its entirety. You may not otherwise copy, replicate, distribute, publish, commercially exploit or otherwise transfer any www.partnersofprisoners.co.uk material or content without prior consent. Some content has been published on this site with the permission of third party copyright owners. In such cases all rights are reserved on these materials and permission to copy them must be requested from the copyright owners (sources indicated). This website contains links to other websites that are operated by third parties. These links are provided for your convenience to provide further information. They do not signify that we endorse the website(s). POPS are not responsibility for the content of the linked website(s) and we do not accept any liability in respect of their content. We cannot guarantee that these links will work all of the time and have no control over the availability of the linked pages. POPS does not guarantee that the functions contained in the material available on this site will be uninterrupted or error free, that defects will be corrected, that this site or the server that makes it available are free from viruses or represent the full functionality, accuracy or reliability of the materials. Neither does POPS guarantee that this website cannot be tampered with by third parties. It is always wise for you the user to run an anti-virus program on all material downloaded from the internet. The POPS website and information, names, images, pictures, logos, regarding or relating to POPS, are provided on an ‘as is’ basis without any representation or endorsement made and without warranty of any kind whatsoever, either express or implied, including but not limited to any warranties or implied warranties of satisfactory quality, fitness for a particular purpose, non-infringement, compatibility, or security. Use of POPS website and information regarding or relating to POPS is entirely at the user’s sole risk. In no event will POPS be liable for any expense, loss or damages including, without limitation, indirect or consequential damages, or any damages whatsoever arising from the use, connection with such use or loss of use of the site or reliance on its content.